VOC to MP3 Converter for Windows supports Windows 8, Windows 7, Windows Vista, Windows XP, Windows 2000. VOC to MP3 Converter for Mac supports Mac OS X v10.4 Tiger), 10.5(Leopard), 10.6(Snow Leopard), 10.7(OS X Lion), 10.8(OS X Mountain Lion), Mac OS X 10.9 (Mavericks) and 10.10(Yosemite). How to convert VOC to MP3 on Windows or on Mac? 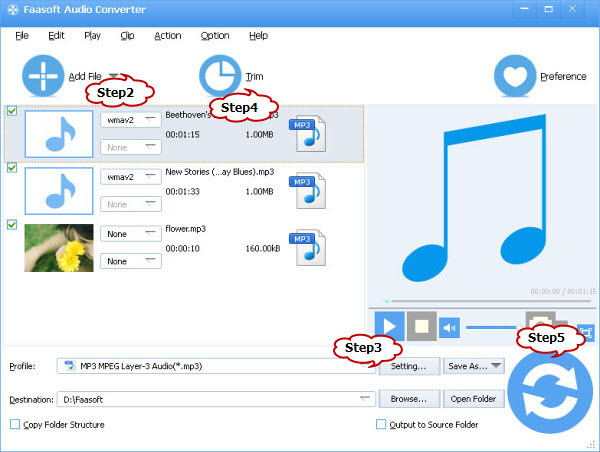 Step 1: Free download VOC to MP3 Converter – Faasoft Audio Converter. Install and launch it. Click on “Add File” button to add VOC files to VOC Converter. Or simply drag your VOC files or the folder where you VOC files are to the program interface. Usually the default output format is just MP3 format, to convert VOC to MP3, simply ignore this step. If you want to convert VOC to WAV, WMA, M4A or any other of your desired audio format, click the “Profile” drop-down button to select your desired one from the “General Audio”. Merge several VOC files into one: In the task list, select the VOC files that you want to merge; then in the context menu, click “Merge Selected into one”. Increase VOC Audio Volume: Click “Setting…” button, the “Advanced Settings” Window will pop up right beside the main window. In the “Advanced Settings” Window, click “Advanced” tab, and then go to “Audio” column, click 100% tab on the right side of volume to select preferable volume ratio from the drop-down list or just enter the desired volume ratio like 300%, 400%. Trim VOC file: Click “Trim” button to open the “Trim” Window. Set the “Start Time” and “End Time” for your preferable VOC segment or just drag the slide bar to the accurate position to achieve it. Then click “OK” to apply the setting. Vanessa, thanks for your comments. I emailed you with instruction for live chat. Thanks for your comments. 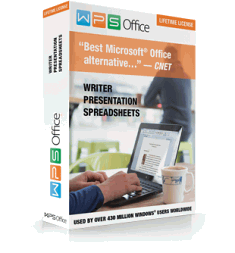 Can you please send a sample file to techisky@gmail.com. We will check it for your. Let me know if you have anything. How to Transfer/Copy/Export Music from iPod to Mac Yosemite 10.10 How to Convert MP4 to Play on iPhone 7/iPhone 6/iPhone X/8/8 Plus?